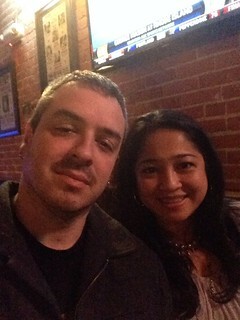 Posted on January 19, 2014 by Ching under Events, Food and Drink, Things to Do. Saturday was a pretty busy day for us. We were up late watching Goldfinger , James Bond movie #3 in our project of watching every Bond movie ever made. After the painting party we dropped Misty off at her sister’s house in Andover so we didn’t get home until almost ten. Therefore, we didn’t start our movie until late. I had originally planned to attend Melissa’s Zumba class at Zeal at 8 AM on Saturday morning, but since I was up so late I ended up nixing that idea. I couldn’t stay in bed all day though because I had my own Zumba class to teach at Andover YMCA at 11 AM. Not that I would have. I rarely ever sleep in, even when I’m up all night. 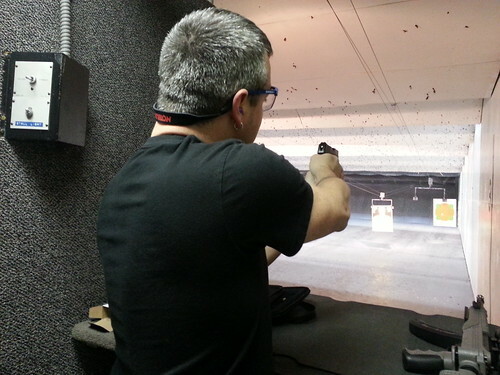 After my Zumba class we went shooting at Bullseye with Cory and April. Then after that we had a couple of events: Cutter J the Absurdist at the Donut Whole and then The Fabulous Fleshtones at Walkers Bar & Venue. 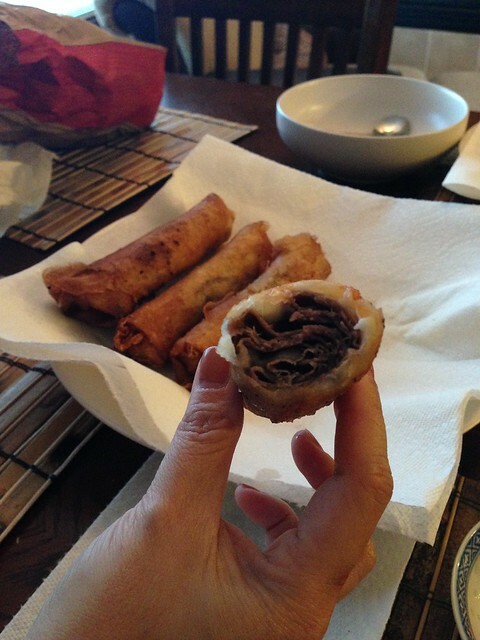 Before going out for the evening, Brian made us some roast beef and cheese eggrolls. We made some the other day and we loved them but there was something missing. Brian decided we needed some Arby’s sauce. We ended up going by Arby’s on the way home from shooting and picking up some curly fries and Arby’s sauce for our eggrolls. What a brilliant idea! The sauce was exactly what the dish needed. For dessert Brian fried up leftover lumpia wrappers and sprinkled cinnamon sugar over them. Those turned out really great also. We had a little bit of time to chill at home before our first event. We arrived at the Donut Whole just in time to watch our friend Aaron aka Cutter J the Absurdist perform. This guy is amazing! Here are some videos I took of his performance. Not only does he masterfully mix music and visuals throughout his performance, he also sings, plays with spoons, and tap dances. I’ve never watched anything like it. He’s not just talented, his creativity is out of this world. 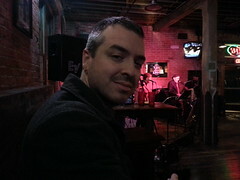 After his performance we were off to Walkers Bar & Venue for the Fabulous Fleshtones. We’d never been to Walkers. It’s pretty new. Our friends’ gig was the perfect excuse to check it out. Apparently, Walkers is the new hangout in town. The place was packed. The Fabulous Fleshtones were great as always. Their music is so different from the music we were listening to at the Donut Whole just moments before, though. I’m always amazed at our eclectic taste in music. LOL. Anyway, that’s our weekend in a nutshell. How was yours? Posted on January 18, 2014 by Ching under Date Ideas, Events, Relationship, Things to Do. It’s a painting and shooting kind of weekend. I had a lot of fun painting with my coworkers last night. Click the right arrow on the picture above to see more photos from our painting party at Paint the Towne. Huge thanks to Tammie for organizing the event and to Misty for taking a bunch of photos. Thanks also go out to my awesome husband for making mini tacos for me to bring to the party and for driving Misty and me to and from the event. I really appreciated not having drive after a few glasses of wine, which flowed quite freely because everyone brought one or two bottles and then some. There were plenty of yummy eats too so none of us were drinking on empty stomachs. Safety first! Since I got to do what I wanted to do last night, Brian got to do what he wanted to do this afternoon. 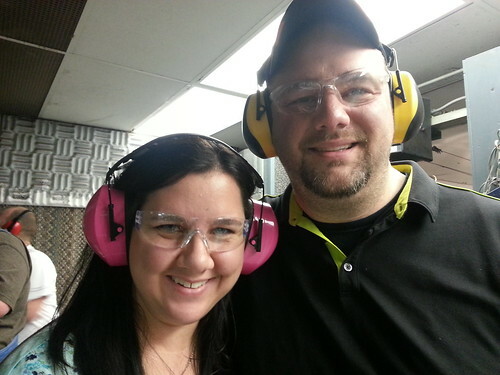 Cory and April went shooting with us also, which was awesome because they shared their targets and I got to shoot Cory’s new toy — a 22 calibre Ruger rifle. 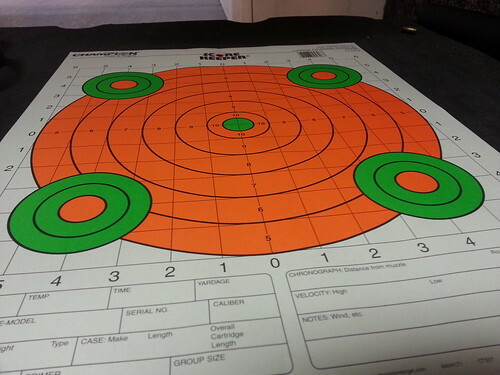 Here are a couple more photos from the shooting range. Posted on January 15, 2014 by Ching under Events, Games, Zumba. What do Zumba instructors do when they get together on a Saturday night? Well, we WORLD PARTY PARTY of course! LOL. Get your own copy of the game here . P.S. There are a ton of photos so be sure to click on the left and right arrows. 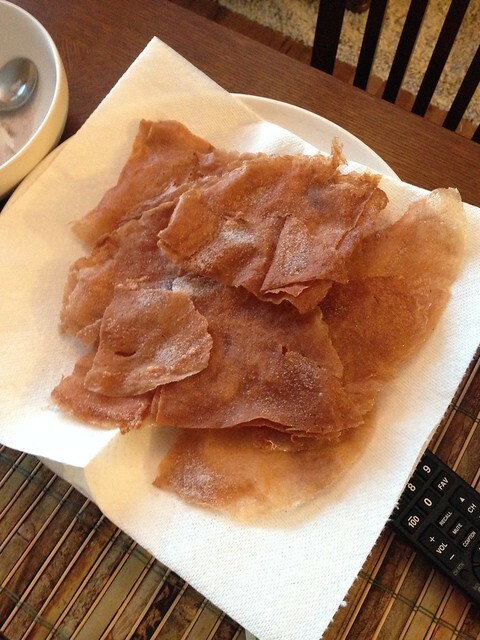 Posted on January 14, 2014 by Ching under Events, Things to Do. This is the kind of impact your donation dollars make when you support the YMCA Annual Campaign. Please help me raise money for the YMCA Annual Campaign by completing the donation form below. The dollars go toward helping strengthen our community. Make a difference in someone’s life today!